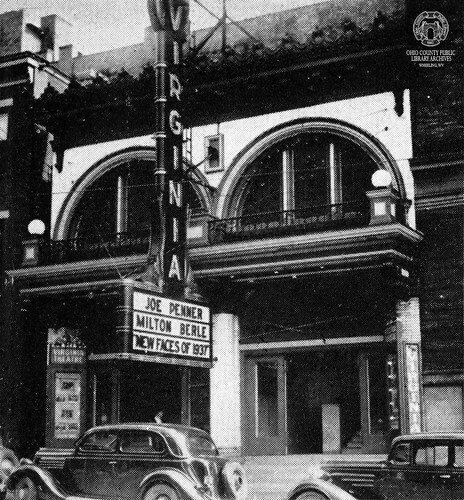 Operated by the Dipson Theatres chain, the Virginia Theatre was opened in 1908 and closed in 1962. Live broadcasts of Wheeling radio station WWVA's "Jamboree” were held at the Virginia from 1934-1936, and again from 1946-1962. The theater was demolished shortly after closing in 1962. ▶ Vertical File: Virginia Theater, Wheeling Room, non-circulating, ask for access at the reference desk.